Contains Soy Products. Made in a facility that also handles nuts. 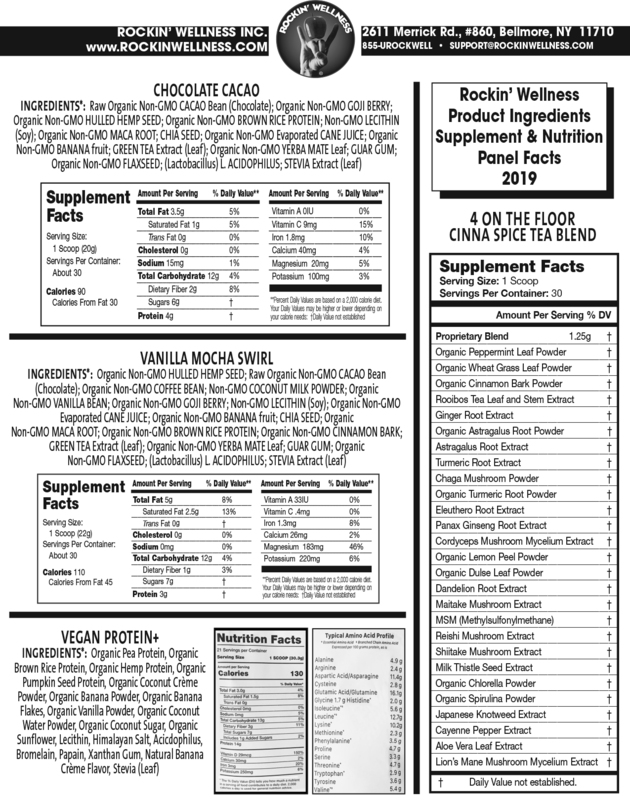 Rockin’ Wellness does not use any artificial ingredients, additives, or preservatives. This may result in variation of taste, color, or texture. ** Percent Daily Values are based on a 2,000 calorie diet. Your Daily Values may be higher or lower depending on your calorie needs. † Daily Value not established.